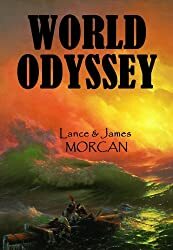 A free copy of our new release paperback WORLD ODYSSEY (The World Duology, #1) goes to the winner of a giveaway competition now running on the literary site Goodreads.com. Be in to win…a free copy. Set in the Nineteenth Century, World Odyssey follows the fortunes of three young travelers as each embarks on an epic journey. Their dramatic adventures span sixteen years and see them engage with Native American Indians, Barbary Coast pirates, Aborigines, Maoris and Pacific Islanders as they travel around the world – from America to Africa, from England to the Canary Islands, to Australia, New Zealand and Samoa. The intrepid trio’s adventures continue in Fiji: A Novel (The Word Duology, #2).